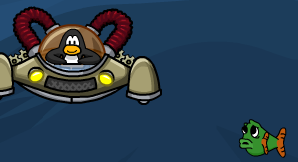 There’s an upgrade to Aqua Grabber, which they upgraded late, but it’s cool. You go faster and they changed the viewing angles. There’s a map you move to different levels on with an achievement list. 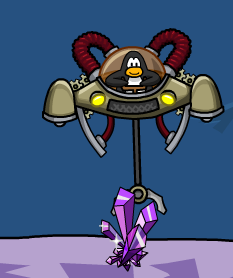 Before you begin you should bring your pink puffle, if you don’t have one, you should buy one, ut will pay for itself. These pink puffles give off air bubbles. 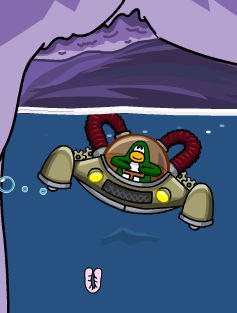 if you’re running very low on air float above your pink puffle and it will give you air. 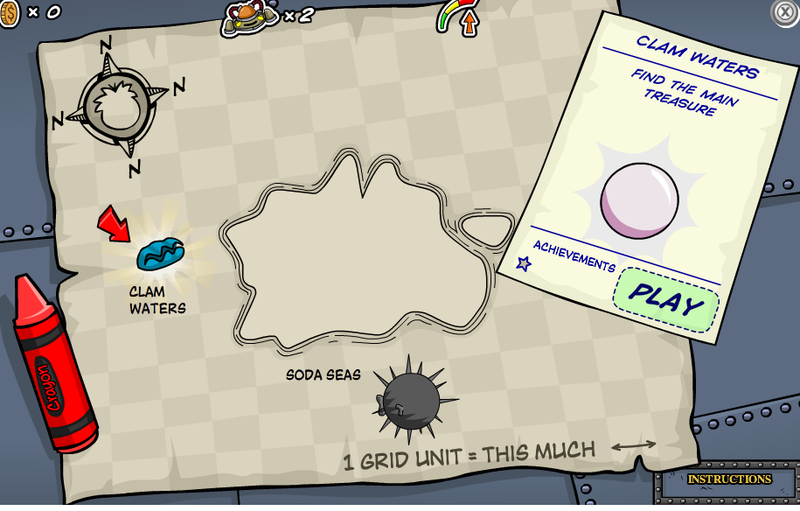 Here’s how you get the the main treasure, the big pearl from the freakishly huge clam. 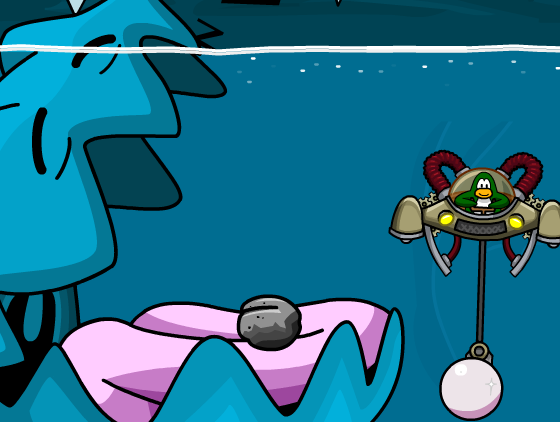 You have to grab the pearl shaped rock, (it’s where the treasure chest used to be) and put it in the clams mouth. 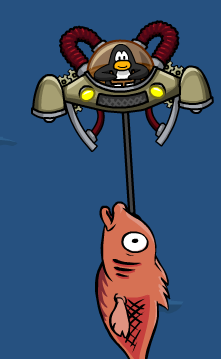 Then you take out the real pearl, so you just use the old bait and swap and you should get your precious huge pearl! You go in to the place where the last barrel of cream soda is and then there should be a place u go for air, knock the ceiling of where u get air and a worm should fall out. Grab the worm. Then you get Fluffy the yellow fish to bite the worm. Then you go to where the mullet is and you make the mullet bit the fish, and you release the mullet and go in to the cavern he was blocking. Then when you go down after entering the new cavern you’ll see a stash of coins, grab them quick before the crab, but make sure that you don’t run out of air! 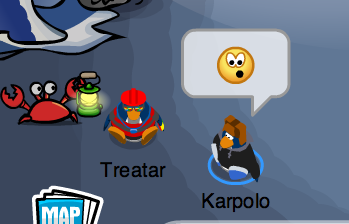 To get the rare treasure let the crab take all the coins and it will give you a gem! 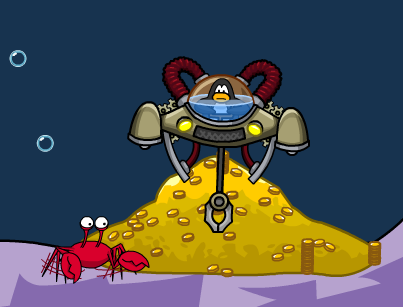 Question: Will the gold the crab is getting come in to the next mission? 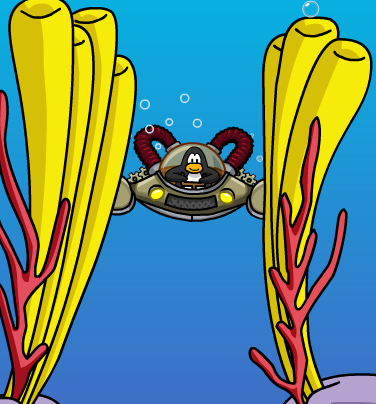 After putting all the cream soda barrels in to the net you can go in to the place where air bubbles come out. Then keep following the path, you should see what might look like harmless fish, but they’re harmful, avoid them. Keep following the path and you will see a giant puffer fish, just go around him get in to the next path, there you will see the crystal! 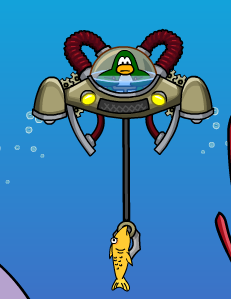 That’s all you need to know to beat Aqua Grabber, I hope I helped you! 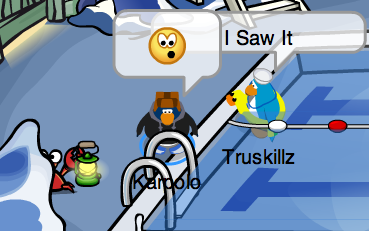 I noticed while hanging out underground there’s this crab that walks by! This crab is also known as Clubpenguinus Crabus to some agents. Here’s how you find it, you wait at the pool and every half an hour this crab appears! And every 15 minutes at the Cave the crab appears. I have a feeling this will link with the next mission. I didn’t use a walkthrough to beat the mission, I find the missions are more fun without them. I feel more self satisfied after its complete. So there you have it! You may have noticed my new header! I like it, what do you think about it? That’s all for now! See ya on the flipside! PS: IM POSTING A NEW KARPOLO COMIX SO BE SURE TO CHECK IT OUT!! !